Wow — I see I have gotten a lot of hits over the last couple of days for folks searching for information on the Comalcalco brick. Welcome! I’m glad to be of service, as I have seen some false information lately on the matter: hopefully you read my previous post (here: The Comalcalco Brick and the 2012 Non-pocalypse) that explains the matter, but I can add to it here, as well as debunk a few comments I’ve seen. For instance, does the Comalcalco tile-brick “confirm” anything about a Mayan belief in a “major event” to come December 2012? No, it does not — not in any way, shape, or form. Some additional articles have appeared online about the Comalcalco brick, such as this so-summarized-as-to-be-terribly-misleading-in-places ABC News item. And other articles with more balance have been grossly misquoted or selectively quoted. “Some have proposed it as another reference to 2012, but I remain rather unconvinced,” David Stuart, a specialist in Mayan epigraphy at the University of Texas at Austin, said in a message to The Associated Press. Dr. David Stuart has been one of the more vocal scholars out there debunking the conclusions of the non-scholars and New Age fanatics, and his last point should be taken seriously. Anyone who says that the Comalcalco tile “confirms” a belief that the Mayans saw the “end of the world” coming in 2012 are only seeing what they want to see. 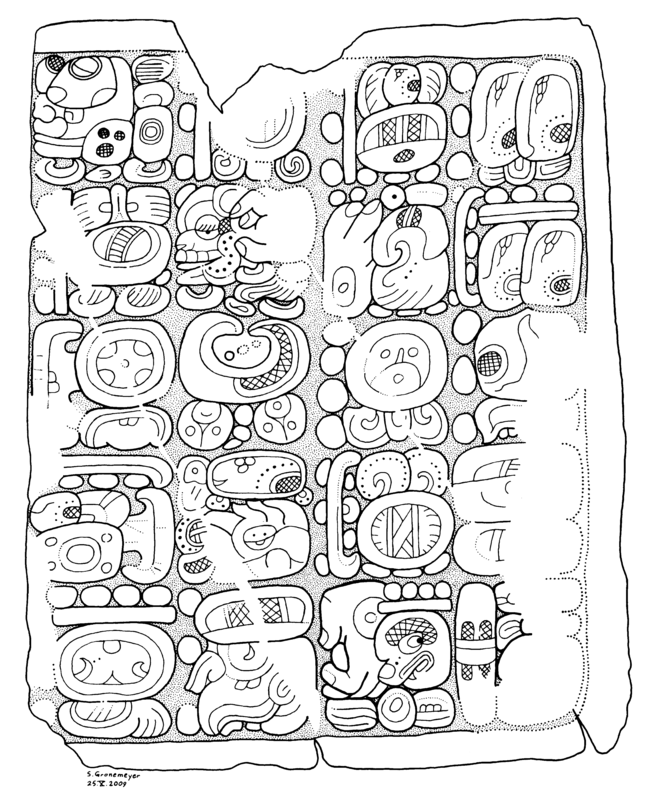 Those who wish to claim that the Maya definitely predicted cosmic scale, “world-ending or world-changing event in late December 2012” simply have no evidence or worthwhile argument to stand on and have positioned themselves against the conclusions of the community of legitimate Maya scholarship. The “2012 phenomenon” really is essentially the creation of drug-using New Agers — and that’s really about as deep as it gets. The Comalcalco brick, it seems, offers little comfort to those looking to firm up non-existent support for their ideas. and that you enjoy your stay! The blog is 2012prophecyblog.com, and I have been repeating these recent posts there, too. I should have thought to link to it in the post, itself, but I’m still getting used to that sort of thing. But anything that encourages folks to check out the great resources at Tomorrow’s World is worth a shot in my book. And thanks for the kind words!